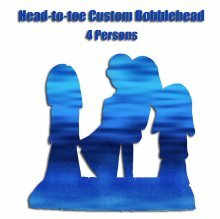 This four fully custom bobbleheads is perfect to a family or four good pals or as a cake topper. 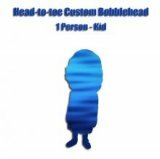 Just follow your ideas,Bobbleheadsme artists guarantee won't let you down.For great quality and a team of very talented artists to capture your look from the photos provided to us. 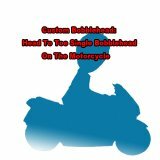 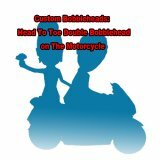 All our custom bobblehead dolls are handmade. 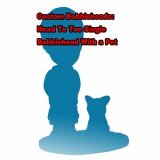 Our custom bobbleheads are sculpted with polymer clay taht means color is the clay itself to create the best detail you can obtain in your bobblehead doll!